What is a THX Certified TV, and Should You Care? If you’re shopping for a new television set, you might have noticed that some of the more expensive models available claim to be ‘THX Certified’. This sounds very cool, undoubtedly - but what does the phrase actually mean? Its key point - and the reason TV brands are so keen to crow about it - is that it’s essentially an assurance of picture quality from an independent third party organisation with a long and glamorous history in the movie world (details on THX's history and philosophy can be found in this separate article). As such it clearly carries infinitely more weight than any amount of self-serving picture quality proclamations from the brand that’s trying to sell you its TV. THX certification can also be found on audio devices like speakers and AV receivers, as covered in a separate article. But the performance hoops a TV needs to jump through in order to receive THX certification are clearly very different - as well as being incredibly numerous! In fact, THX has developed no less than 400 bench tests for televisions, covering everything from motion and colour through to greyscale gradations, contrast, sharpness and video noise handling. In developing these tests THX has created a huge suite of test signals - some of which have now become standards across the AV industry - as well as state-of-the-art equipment for delivering those test signals to TVs in sufficiently precise and controllable form. The way the THX Certification process works is that a brand seeking to get the THX seal of approval on one of its TVs will first submit a set for evaluation, usually a few months before the TV is set for commercial release; THX does not undertake testing of all TVs that get released and then contact the makers of the sets that make the grade. In fact, as I discovered when I met with THX in San Francisco earlier this year, the THX certification process is to some extent quite collaborative. Practically no TV submitted to THX will pass all the necessary tests at the first time of asking; rather there will be a back and forth process where THX will explain to the TV manufacturer while its TV isn’t hitting the required mark in certain areas, and then the TV maker’s engineers will beaver away at improving things before resubmitting the TV for retesting. This process can happen repeatedly for a specific set if a TV brand is particularly keen for that set to ship with the THX seal of approval attached to it. 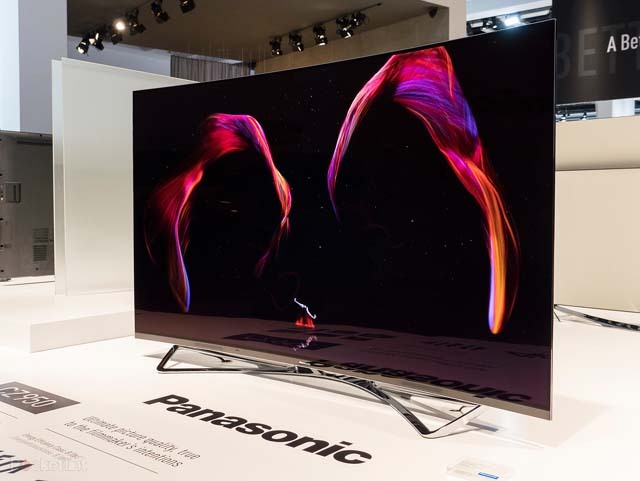 A recent example of the sort of high-end TV most likely to seek THX certification is the recently announced Panasonic TX-65CZ950, the brand’s first OLED TV. A big part of the THX approach is making sure that a TV it is testing is capable of matching with only very marginal room for error the established video standards of the day. In other words, THX - in keeping with the cinematic history discussed in a separate article - wants a TV it certifies to be capable of showing you a film exactly as it was intended to look by the people who created it for a Blu-ray or DVD. THX certified TVs even carry THX picture presets featuring picture settings designed by THX’s engineers to achieve optimal video standards accuracy from each particular TV. This will, of course, sound like a very worthy cause indeed to many serious home cinema fans, and few would argue that THX has been a force for good when it comes to improving the standard of AV technology and the experience of going to the cinema. Critics do point, though, to a couple of issues with the THX Certification process that should be mentioned here. First, since brands have to pay THX to have their TVs tested and certified, not all brands seek THX certification even for TVs that might possibly have earned it had they sought it. In other words, TVs that do get THX Certified aren’t necessarily the only brilliant TVs in the marketplace. Second, it’s important to realise that THX Certification can, potentially confusingly, be achieved for different aspects of a TV’s performance. For instance, a TV could be certified on its 3D performance, or its 4K UHD performance, or maybe, looking ahead, on its high dynamic range (HDR) performance. So the THX Certification may not necessarily apply to every part of a particular TV’s qualities. Finally, while the THX drive to ensure that every TV can produce the same level of objectively measurable accuracy is clearly admirable in many ways, it is also arguably unprogressive where advances in TV technology are concerned. For instance, the introduction of wide colour gamuts and high luminance levels in some recent TV screens as they prepare for the arrival of high dynamic range content won’t fit with THX’s current testing procedures, which are still based around the now decades old Rec 709 colour standard. So the THX mode on a current TV will essentially require that TV to turn off all of its exciting new picture technologies - the stuff you probably shelled out the big bucks for - in order to bring them back in line with Rec 709. Having raised this issue with THX during my meeting with them, though, I was assured that the organisation will be introducing an HDR certification model as soon as HDR standards have finally been formally established. And actually, given the current confusion in the AV world over what specifications a TV needs to deliver in order to deliver a genuine HDR experience, a THX HDR TV certification could arguably become the most important guarantee of quality THX has delivered to date. Tech Magazine: What is a THX Certified TV, and Should You Care?